Silpro/Raeco Concrete Repair | Salmon Bay Sand & Gravel Co.
All our products are based on our intimate understanding and appreciation of the issues, problems, and concerns faced by the floor preparation, masonry and concrete repair and restoration industries. SILPRO is a leader in flooring preparation and concrete/masonry repair products. 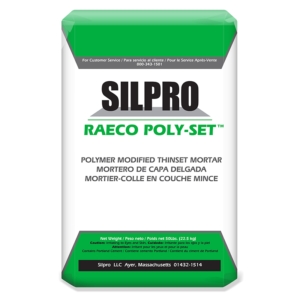 SILPRO is dedicated to providing meaningful value to our floor preparation, masonry, concrete repair and restoration customers through product depth, performance, and availability. SILPRO offers consistently high quality products and unsurpassed industry knowledge. 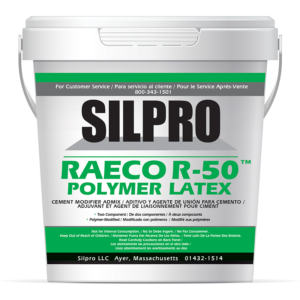 Salmon bay is a full line distributor of Silpro and Raeco Branded products. 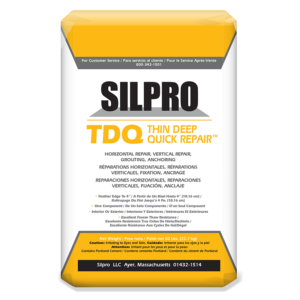 –SILPRO TDQ THIN DEEP QUICK REPAIR™ is a one component, high-quality, cement-based, multi-purpose repair material. For use in both interior and exterior applications where a fast set time and high strength is demanded. Use for horizontal or vertical applications. 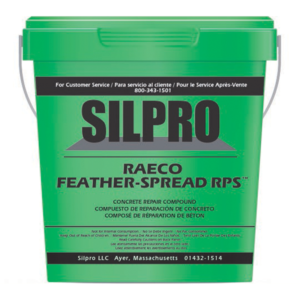 –RAECO Feather Spread is a fast-setting, smooth textured, high strength, single component, concrete repair compound. Consisting of a uniform, premixed blend of Portland cements and graded silica aggregates with polymer modification to promote lasting surface adhesion, it is used for renovation and new construction. Feather Spread is for multipurpose repairs and is especially formulated as a floor covering underlayment. Feather Spread can be applied from feathered edge to 1/2″ thick (12.7 mm). Feather Spread can be used for horizontal, vertical and overhead surfaces. Suitable for interior and exterior use, a sealer or coating is recommended when used for a wearing surface. Feather Spread contains no gypsum, chlorides, ferrous metals or corrosive agents. -RAECO SKIMWALL is a fast-setting, smooth-textured, high strength, single component, concrete repair compound for exterior or interior concrete walls and floors. Consisting of a uniform, premixed blend of Portland cements and select aggregates with polymer modification to promote lasting surface adhesion, SkimWall is used for renovation and new construction. 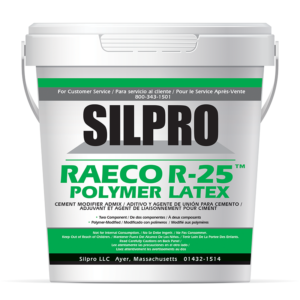 -RAECO R-25 Latex Admixture is a pre-blended styrene butadiene copolymer. It is supplied as a one component, white liquid designed for modifying Portland cement compositions. R-25 Latex Admixture is not affected by moisture after curing, like polyvinyl acetates (PVA) emulsions. R-25 Latex Admixture can also be used with Raeco R-25 Powder as a two component, trowelable underlayment. Raeco R-25 Latex Admixture contains no solvents or corrosive agents and is VOC compliant. For exterior or interior use when modifying Portland cement compositions. no solvents or corrosive agents and is VOC compliant. -RAECO SLU is a self-leveling, non-structural, interior and exterior, floor underlayment mortar containing cement, graded aggregate, polymer and control additives. Mix only with water, it becomes a free flowing material that seeks its own level and achieves a flat and smooth surface. SLU produces a smooth, hard and durable surface to receive a finish floor material, such as carpet, resilient, ceramic, wood, and most other flooring systems. RAECO Poly-Set Polymer Modified Thinset Mortar is a single component, premium grade, polymer fortified thinset mortar; consisting of a uniform, premixed blend of Portland cement and graded washed silica aggregates with polymer modification to promote flexibility and promote lasting surface adhesion. Poly-Set is designed to be mixed with water, no other liquid additive is required. However, for greater flexibility and strength, a Raeco latex additive may be added to powder in lieu of water. Raeco Poly-Set is available in gray, white and medium bed formulas, and is designed for setting all types of ceramic tile (wall and floor), over a wide variety of surfaces.